There’s nothing like waiting in a line for an amusement park ride to remind you that it’s summer. With this large set, your kids can have the joy (okay, misery) of standing in lines without having to lather up with sunscreen or put on a hat. The 117-piece set comes with seven two-seater gondolas, a functioning Ferris wheel, a ticket office (complete with a cash register and tickets), flashing lights (batteries not included) and quite a few other accessories. It also comes with two adult figures and two child figures, so your little one can make someone else (even if that someone is inanimate) feel the sting of waiting in line and then, when you finally get to the front, being told you’re too short to ride. Once all the seats are full, turn the crank and you’re off. 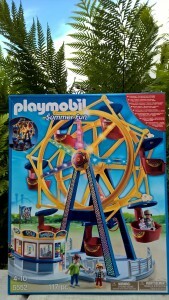 The wheel can operate automatically but you’ll need to buy the Electric Ride Motor, sold separately. $79.99. Ages 4-10. The Coast Guard has a bit of an identity crisis. It started off as part of the Department of Treasury, then got transferred over to the Department of Transportation, and is now under the Department of Homeland Security. They’re also considered a branch of the military. But whoever they are, they do a great job of protecting our coasts and waterways. 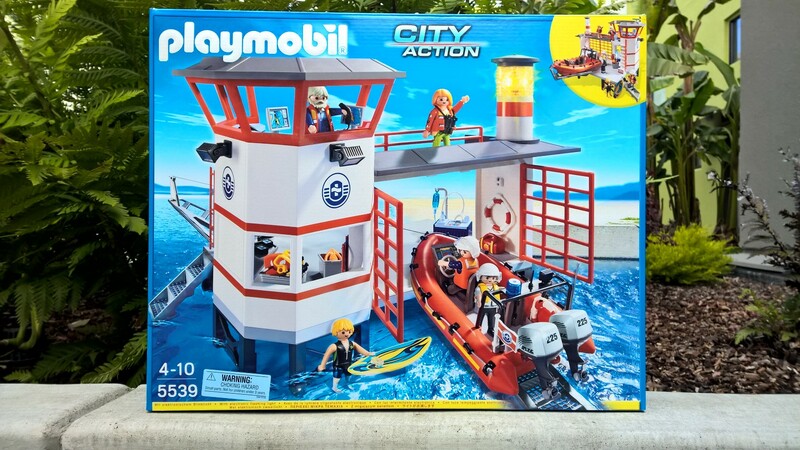 With the City Action Rescue Boat, your child can give the Coast Guard the respect they deserve, honoring them as they rescue drowning swimmers, battle pirates, and take on other rescue operations. They can even put out fires (or squirt the cat) with the included plunger. 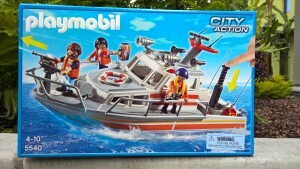 The set includes the boat itself, three figures, first aid kit, hoses, rescue ring, and more. 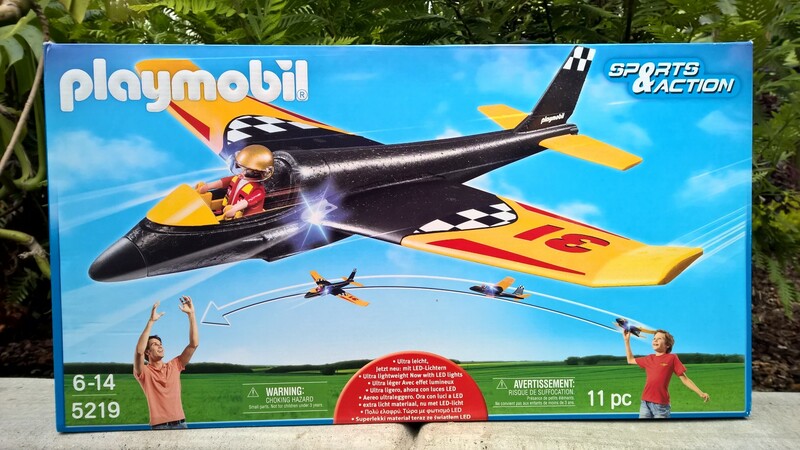 $52.95. Ages 4-10. Those Coast Guard heroes need to go somewhere at the end of a long, danger-filled day, right? And nothing could be better than their own station, complete with a functioning lighthouse and an observation room where the duty officers can keep a close eye on the coast and dispatch rescue crews as needed. The set comes with everything you and the kids need to create amazing adventures together: a boat, five Playmobil figures (who love to wait in line for the Ferris wheel on their day off), rescue rings, a full set of scuba gear, loads of medical and safety equipment, a cable winch to haul boats out of the water, and more. $79.95. Ages 4-10. 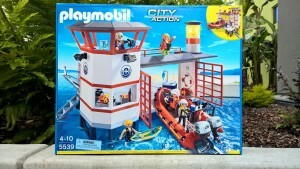 This entry was posted in Reviews and tagged coast guard, flight ferris wheel, glider, lighthouse, playmobil, rescue on June 5, 2015 by Parents@Play Team.